If you ask any fourth or fifth grade math teacher what is the most important foundation concept most would probably say place value. In kindergarten the teachers focus on the making a 10 concept.Then place value is introduced in first grade using ten frames, Base 10 blocks, or counters. Grade levels 2-4 build on those place value concepts through addition and subtraction with regrouping, rounding, multiplication and division. In my experience, I have found that many teachers struggle with giving place value the focus that it needs while introducing other skills such as addition and subtraction with regrouping and rounding. The use of manipulatives with students who have behavior concerns can become issue in grades K-3. Manipulatives is MUST in the primary grades because it lays the foundation for more complex concepts in grades 4 and 5. Base Ten blocks have been the go to manipulative for teachers in first grade but I believe once the students have a concrete foundation with ten frames and place value then number disks are an excellent alternative. I prefer to use number disks instead of base ten blocks because I have found that my struggling math students can connect the math concepts better when I use them. Also, because I teach decimals when I use Base T blocks my Special Education students struggle with making the jump from using base ten blocks to representing whole number to representing decimals. A good portion of my 5th graders always struggle with subtracting large numbers with regrouping and subtracting with zeros and regrouping. No matter what my pacing calendar says I always begin my school year with reviewing these 2 concepts. The only difference is that I don’t use base ten blocks, instead I take this opportunity to introduce the students to number disks. The review is always a hit with the students because all of the students are seeing something new for the very first time. Students in elementary school rarely get the opportunity to explore inverse operations . 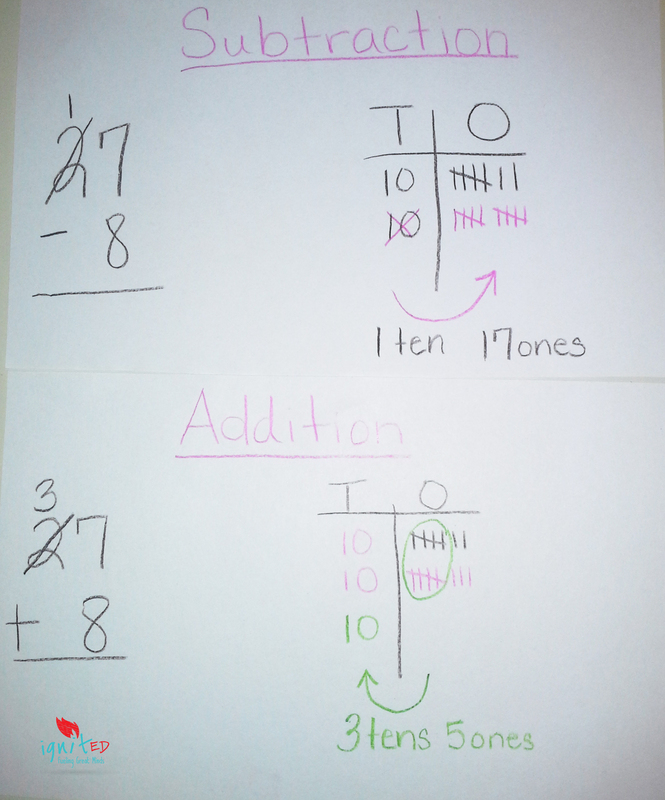 Modeling how subtraction and addition are inverses of one another is a powerful way to compare and contrast with young learners. Using number disks to have students show the inverse of addition will either do one or two things. 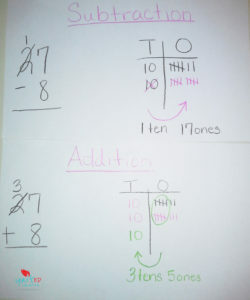 It will either cement the students’ understanding of addition and subtraction with regrouping or it will highlight the students’ misconceptions with regrouping. Either way it will reinforce the place value concept with addition and subtraction while providing the students with practice with addition and subtraction. Number Disks are the perfect manipulative for introducing 10 more or ten less because the students can actually see how the place value increases by ten or decreases by 10. If you use Base Ten blocks for this skill, Special Educations and struggling students most likely will miss the place value connection. 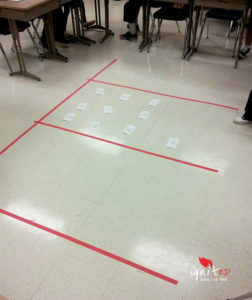 In my previous blog post 10 More or 10 Less The Bigger Picture I explained how I’ve seen teachers using the place value chart to teach this skill. Teaching 10 more or 10 less is more than teaching students how to find patterns of 10 more or less than a hundreds chart. 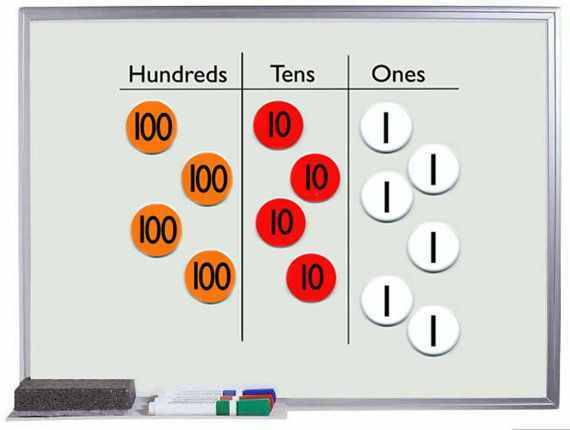 Students should be able to demonstrate how the value of a digit either increases by 10 or decrease by 10. Number disks will help students use their understanding of place value to articulate how many 10’s are left after a 3 or 4 digit number increase or decreases by ten. I cannot stress how Number Disks are great alternative to Base Ten blocks. I’ve had so much success with using Number Disks to address misconceptions with place value that I can’t imagine ever using teaching with out them. I’m sure if you gave them a try you could achieve the same success too!